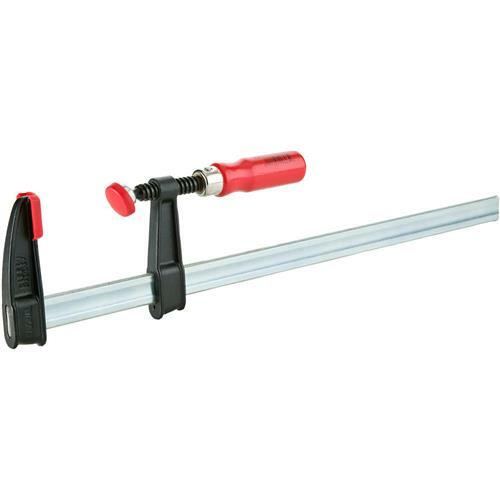 Bessey's simply unequalled, proven clamp design has made it the choice of professionals worldwide. Tradesmen bar clamps are fast action, high quality sliding arm bar clamps. These clamps feature a patented profiled rail, I-beam design that minimizes the flexing or bending common with flat bar rails, patented non-slip locking device, zinc-finished drawn rail to prevent black marks from appearing on wood, protective non-marring pads, and a comfortable ergonomical grip wood handle.